After being scared by everybody about how dangerous Colombia was, even though I knew better from other riders, I found a beautiful country filled with numerous warm and beautiful people. The people of Colombia welcomed me with open arms and I understood why so many previous travelers have raved about this recovering nation. The danger from the guerrillas hasn’t been eliminated but it has been greatly reduced and pushed to remote regions. Things changed for the better in the last decade and credit is given to outgoing President Uribe who made Colombia safe again for its citizens and foreigners to travel freely without the fear of kidnappings. Along with stability has come a boom in the economy and a growing motorcycle culture. 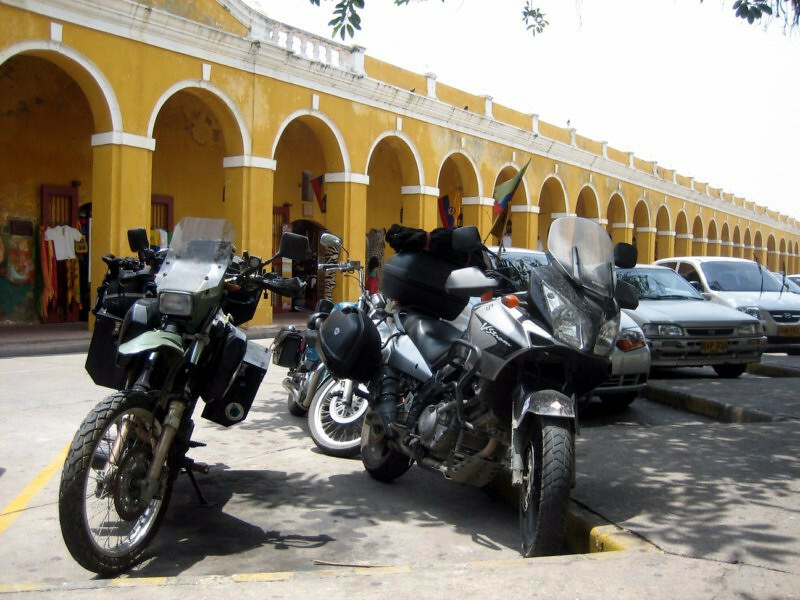 I contacted a local rider, Fernando Morales, through HorizonsUnlimited in Cartagena and since then was passed on from one riding friend to another in each city as I made my way south. The hospitality of all the riders I’ve met has made my experience of Colombia all the more rich. My visa was only valid for 3 weeks, due to bureaucratic egos at the embassy in Costa Rica, so I didn’t have time to see the eastern part of the country, such as Bogota, etc. 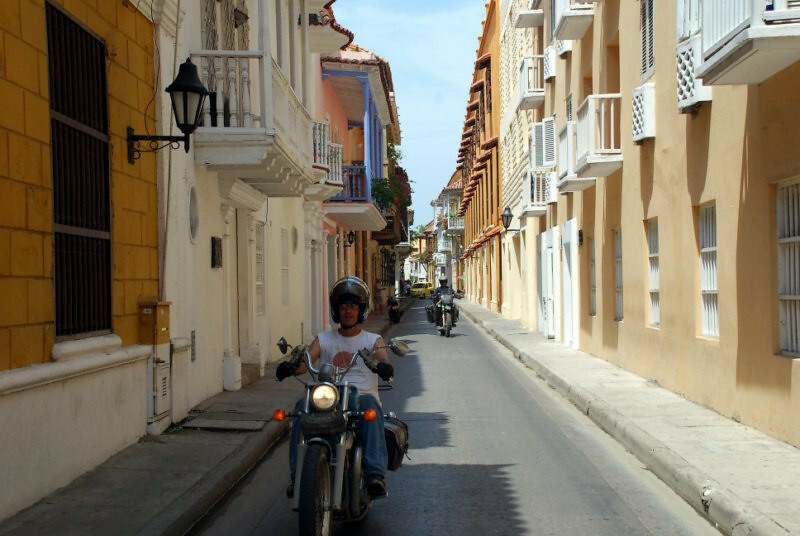 My route went south from charming colonial Cartagena to motorcycle center Medellin, then up to the coffee producing region of Armenia. From there, down to bustling Cali, then up to white-washed colonial Popayan and lastly, high altitude Pasto. 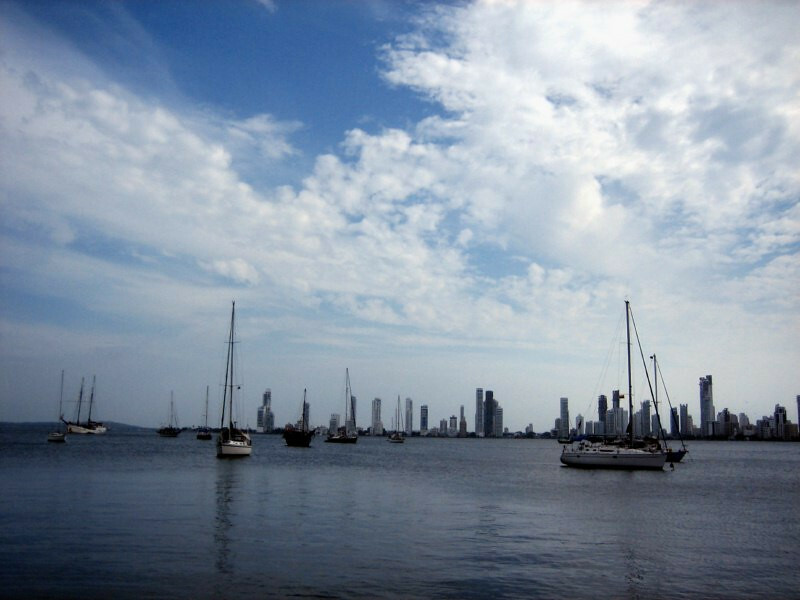 The marina, through which I arrived by sailboat on the Stahlratte with modern day Cartagena’s skyline of Bocagrande. The view from Castillo de San Felipe de Barajas of Bocagrande. 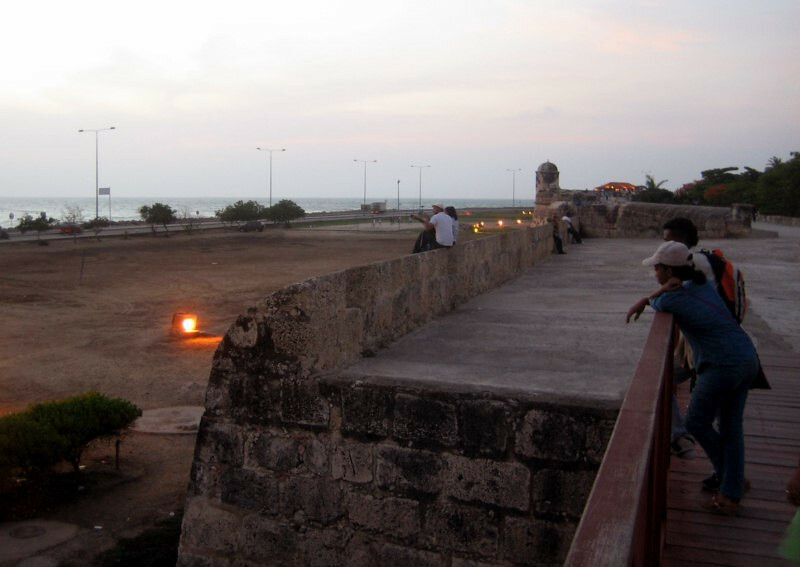 This fort was built in the 16th and 17th century to help protect Cartagena from invasions by sea or land. 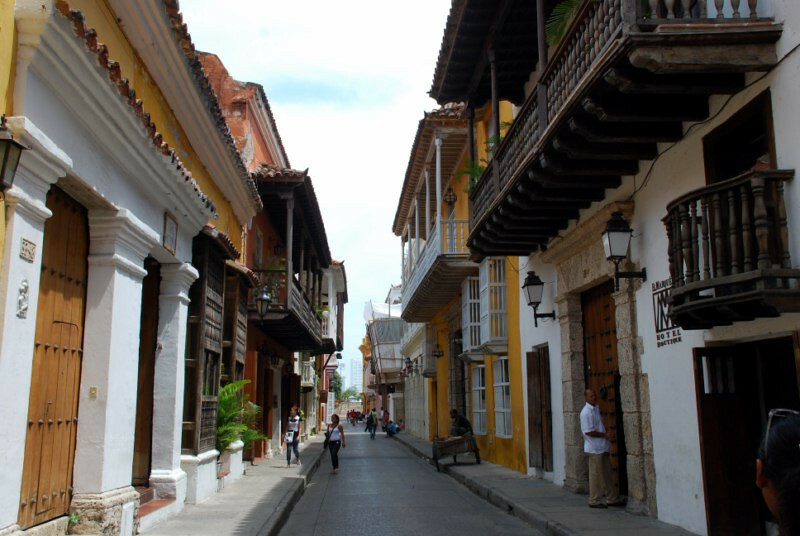 The city was ransacked multiple since its inception in 1533 by pirates and other governments, leading to Spain pouring in millions to protect their entrance to the Americas. 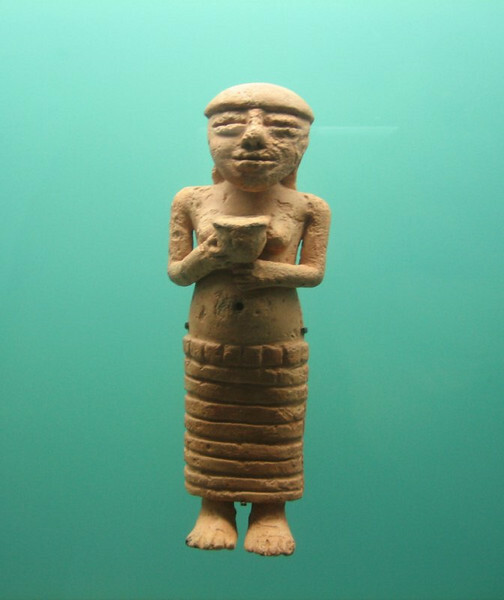 Cartagena de Indias was the main port from which all the plunderings of colonies further south passed through on their way to Spain. 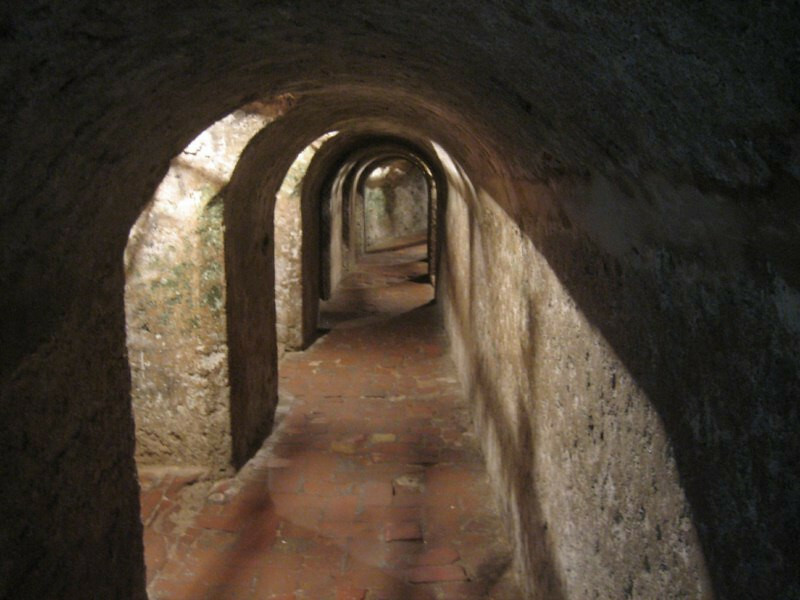 The fort is built on San Lazaro hill and has numerous tunnels that were used for food and weapons storage, along with escape paths. I explored a few of the tunnels with fellow traveler Sargento and most of them lead into darkness and water, preventing further exploration. The tunnels were constructed in a manner so that footsteps of approaching enemies could be heard. 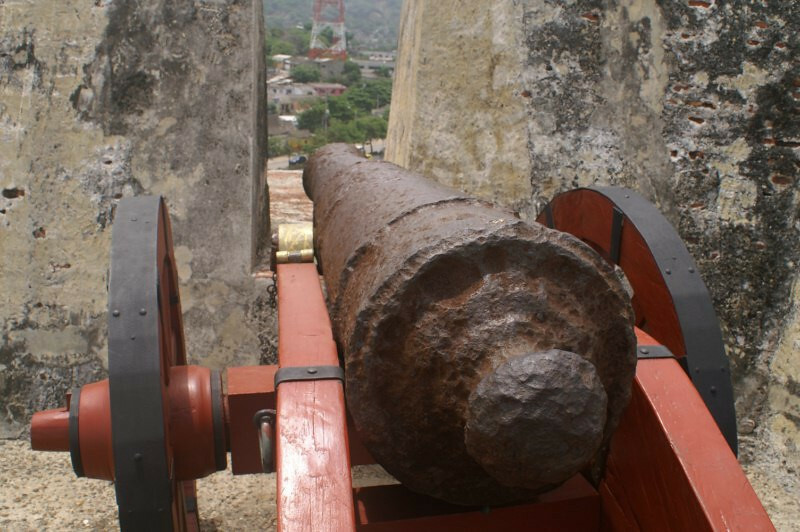 Canons to repel land attacks. 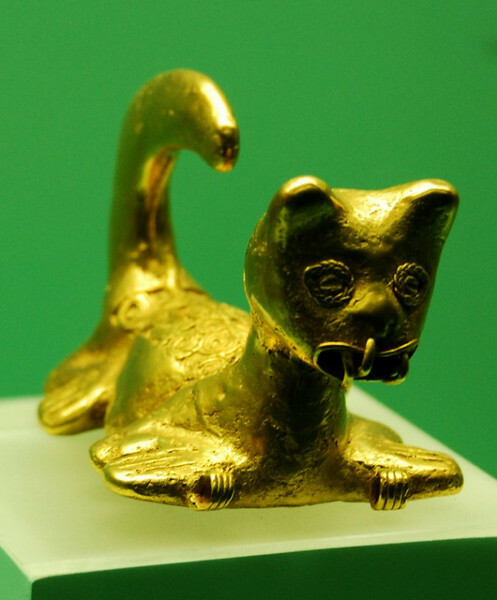 The fort is the grandest the Spaniards built in their colonies and was never penetrated. 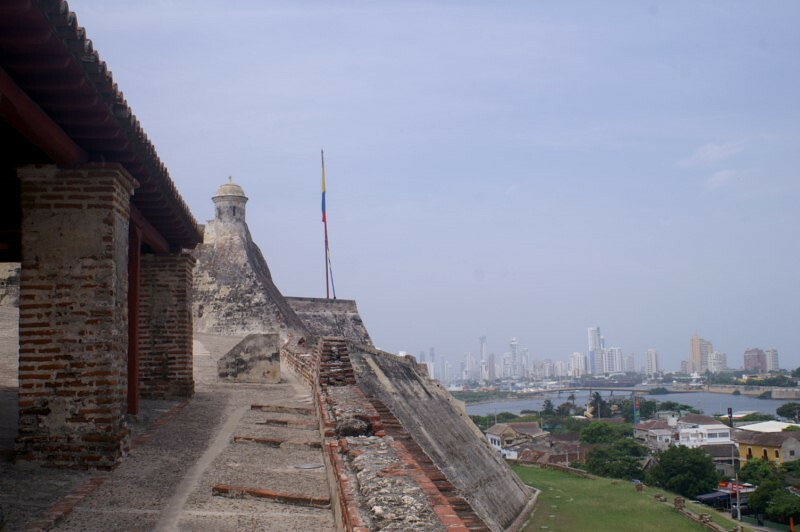 View of downtown Cartagena from the fort with old town on the left. At the northern end of old town, Las Bóvedas, which used to be used for housing ammunition. 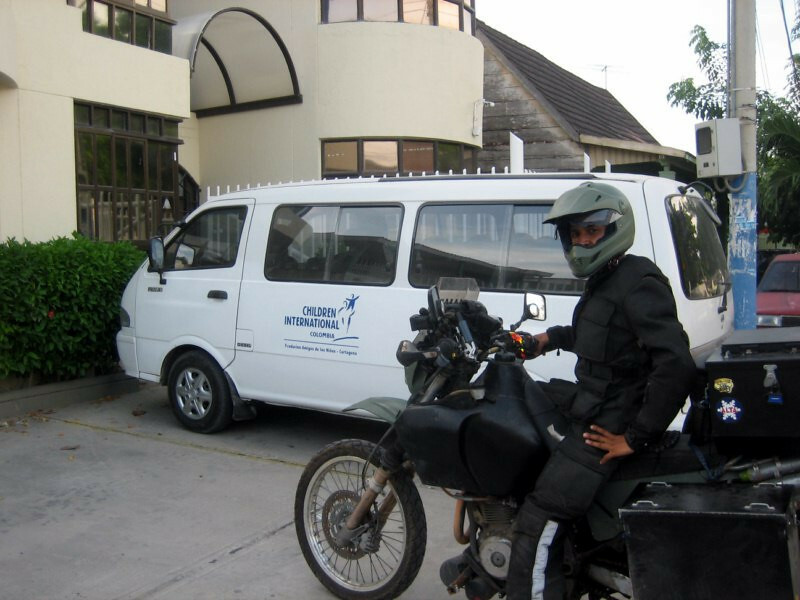 Meeting up with Fernando Morales, whom I contacted through HorizonsUnlimited and a Mexican motorcycle traveler, Don Sargento, who’s been on the road for 3 years and is heading back home. 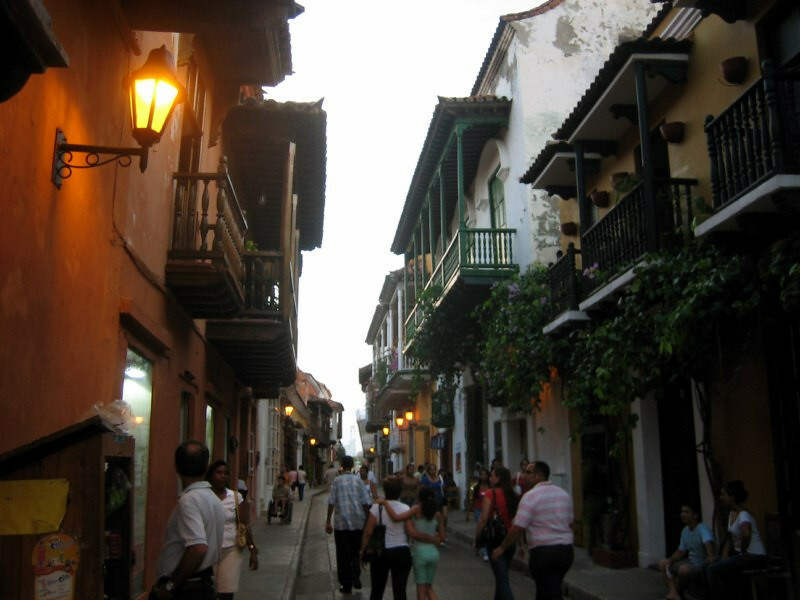 Walking through the charming streets of colonial old town within the wall that was built around the city to protect it. …shrouded in bougainvillea that drip down to the streets, giving off a pleasing scent. 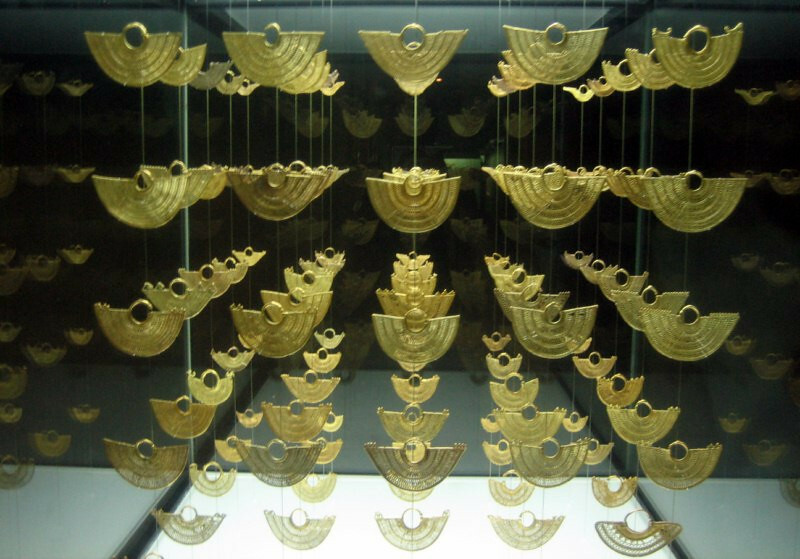 Cartagena is hot, so a visit to the free, air-conditioned Museo de Oro, or Gold Museum is well worth it. 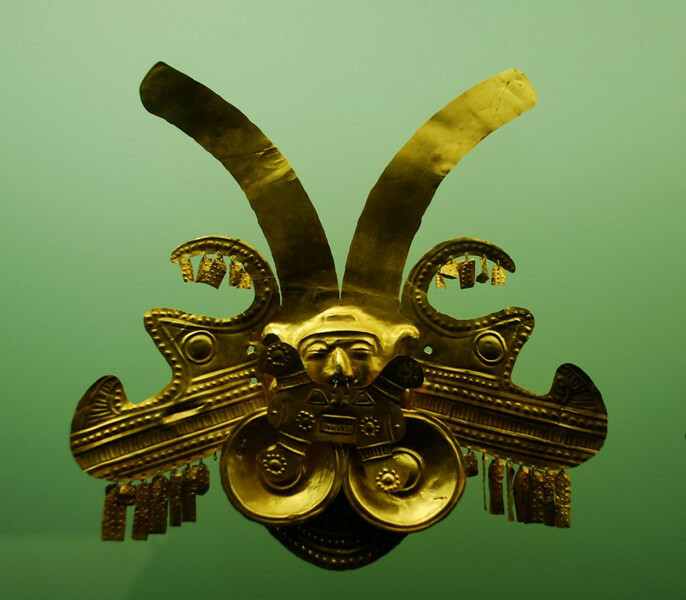 The gold artifacts are from the Zenú people who date from the pre-Columbian era. 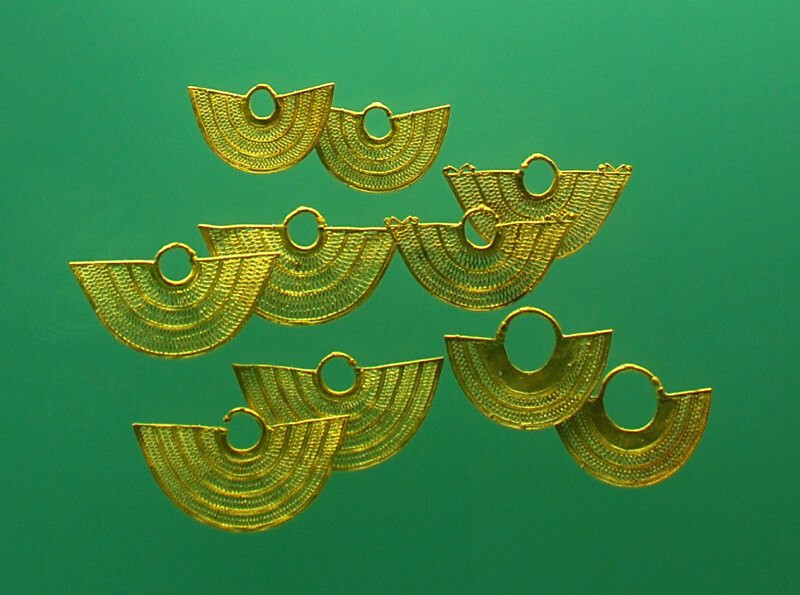 Besides intricate gold workings, the Zenú are also known for their extensive system of channels that drained off floodwater and left a fertile land for cultivation. 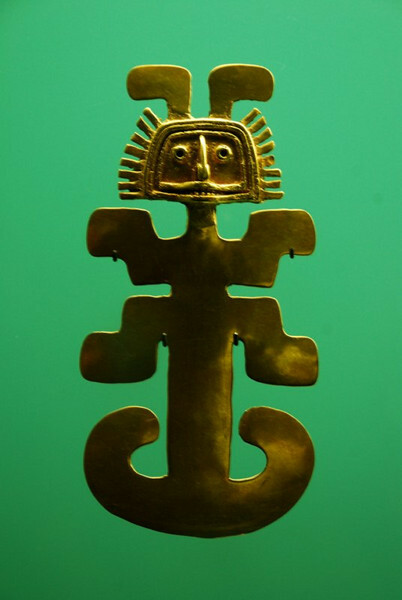 The weave, a representation of the networked channels, central to their life, was important in all aspects of Zenú culture as they viewed their universe to be a weave, a fabric on which all things existed. The idea is remarkably similar to our current scientific view of the Universe put forward by Albert Einstein as he describes it as a fabric of spacetime, a gravitational grid that gives the Universe its structure. One can imagine why the first Spanish explorers became interested in colonizing this new continent. 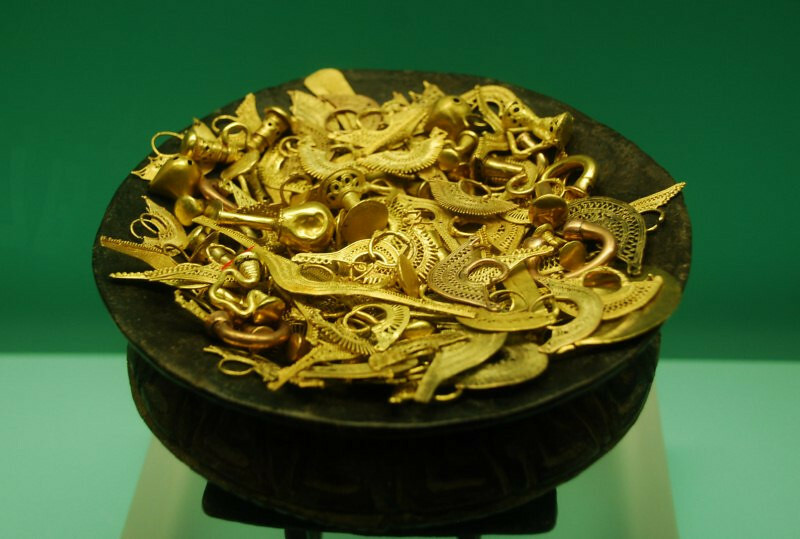 Along with the gold artifacts are numerous ceramics, some dating to 2000 BC. Motorcycles generally aren’t allowed in the walled city, but no one seemed to stop us. Parked at Plaza Bolívar. All Suzukis: V-Strom, DR650 and Sargento’s Intruder 800. 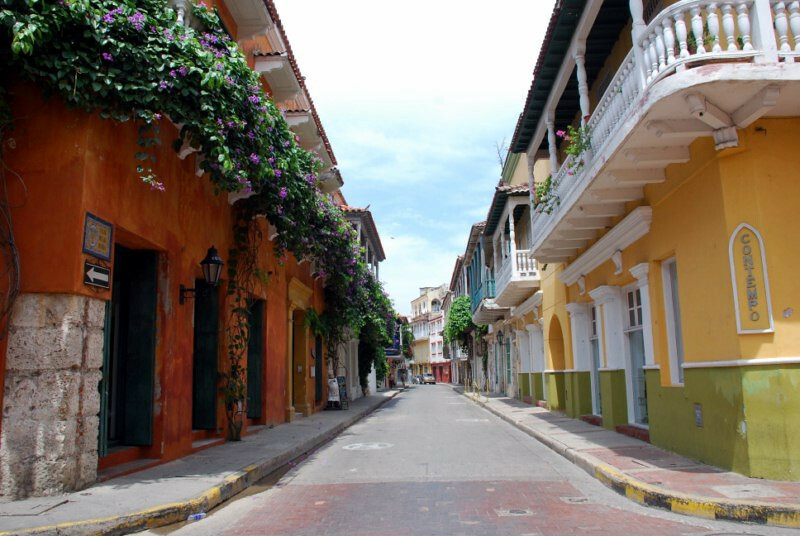 The colorful streets make for a pleasant stroll. Two plus-sized ladies. 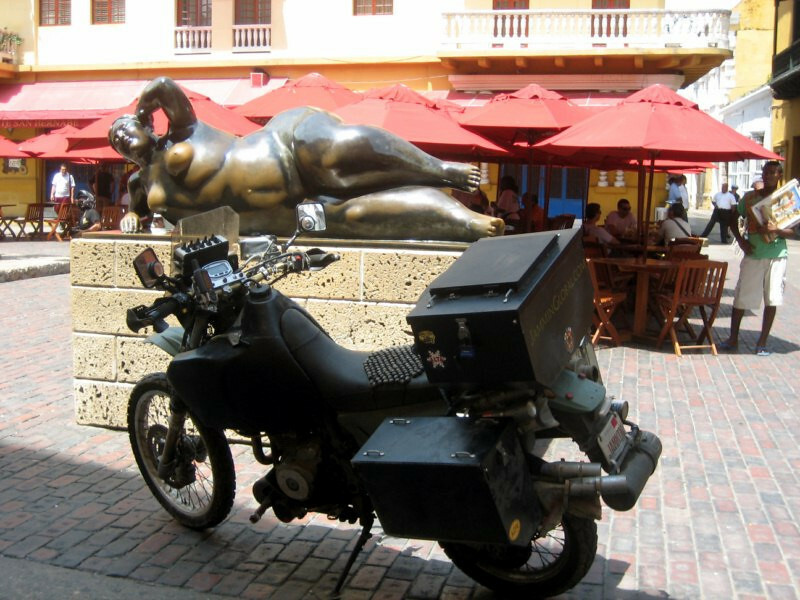 sanDRina with Fernando Botero’s La Gorda Gertrudiz in Plaza de Santo Domingo. Botero is an abstract Colombian artist known for his proportionally exaggerated figures. 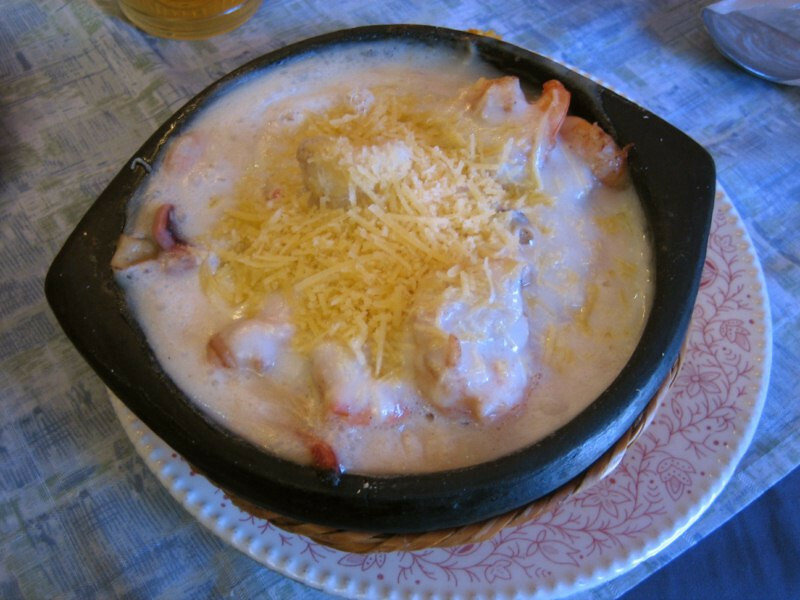 Being treated to a thick seafood soup with lots of shrimp, scallops and various other mariscos (seafood). 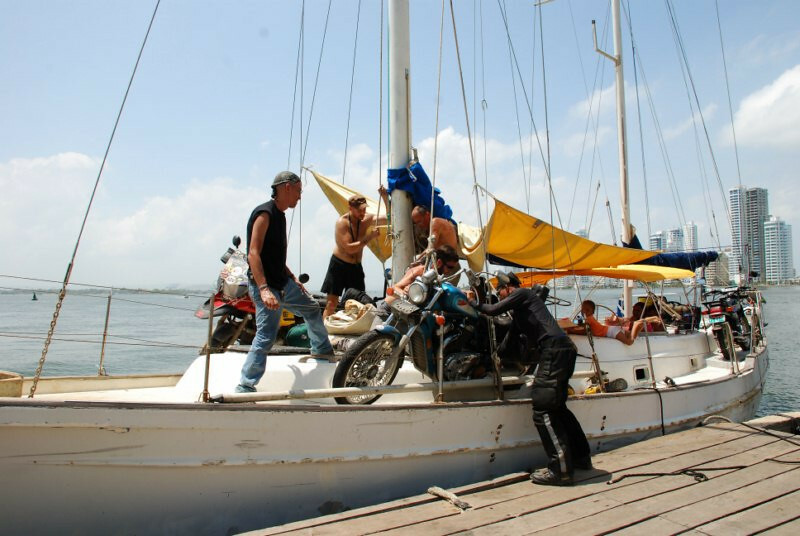 Helping Sargento load his motorcycle onto a sailboat for his passage north to Panama and onwards to Mexico. This boat was taking three motorcycles. On the starboard side is Roman, a Pole from New Jersey and his BMW GS, which was a beast to winch on board. Heading back to spend more time wandering the walled city. 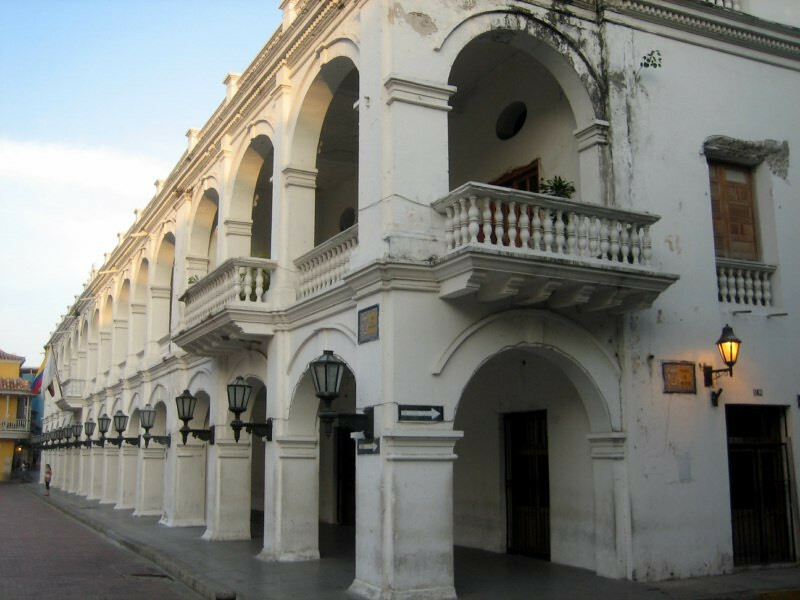 The Government Palace, the seat of the governor of the department of Bolívar. Streets of old town at dusk. Watching the sunset from the wall that surrounds old town. View of old town from the wall as night approaches. 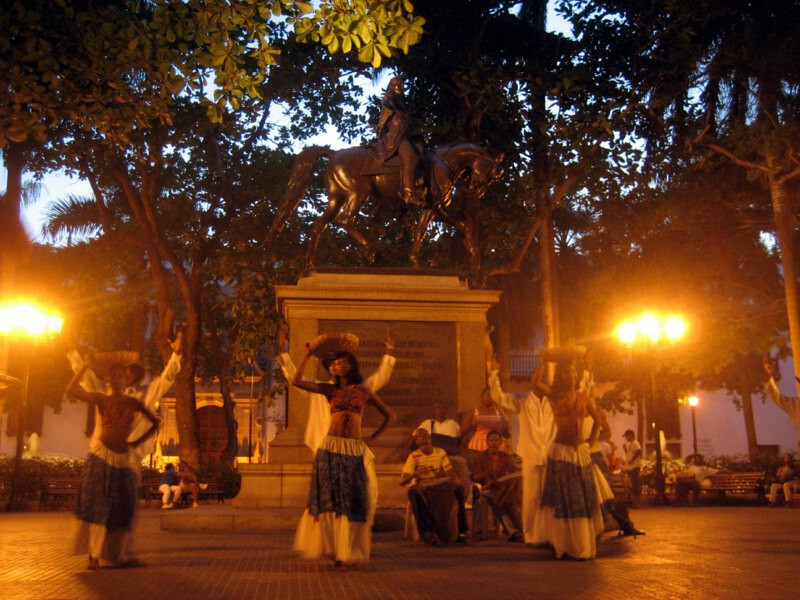 Dancing in Plaza Bolívar, under the statue of El Libertador, Simón Bolívar who is credited with kicking the Spanish out of South America and bringing independence to present day Bolivia, Colombia, Ecuador, Panama, Peru and Venezuela in the early 19th century. His hardy fighting spirit and vision for a unified Gran Colombia (encompassing Panama, Colombia, Venezuela and Ecuador) has given him the nickname of George Washington of South America. 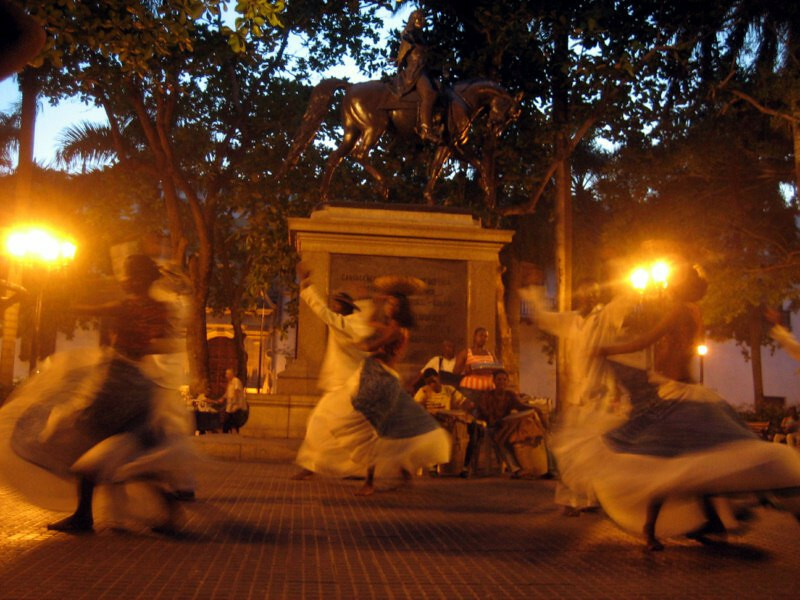 Dancing in Plaza Bolívar by Cartagena’s African descendants. 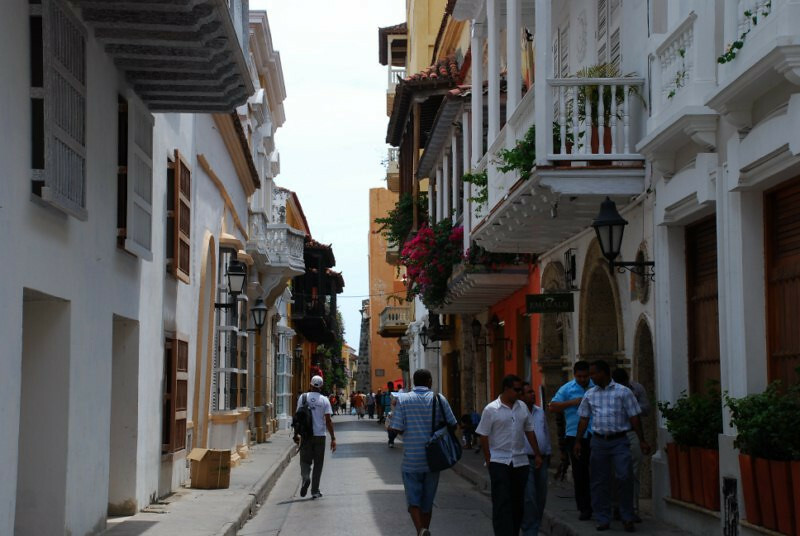 The city was one of the first to welcome freed African slaves as Bolívar proclaimed to abolish slavery in South America. Just like this, there are central plazas dedicated to Simón Bolívar in cities all through the countries he liberated as well as main avenues named after him, similar to Martin Luther King Jr’s name being used throughout the US and Gandhi throughout India. Bolívar went one step further and got a country named after him, Bolivia. 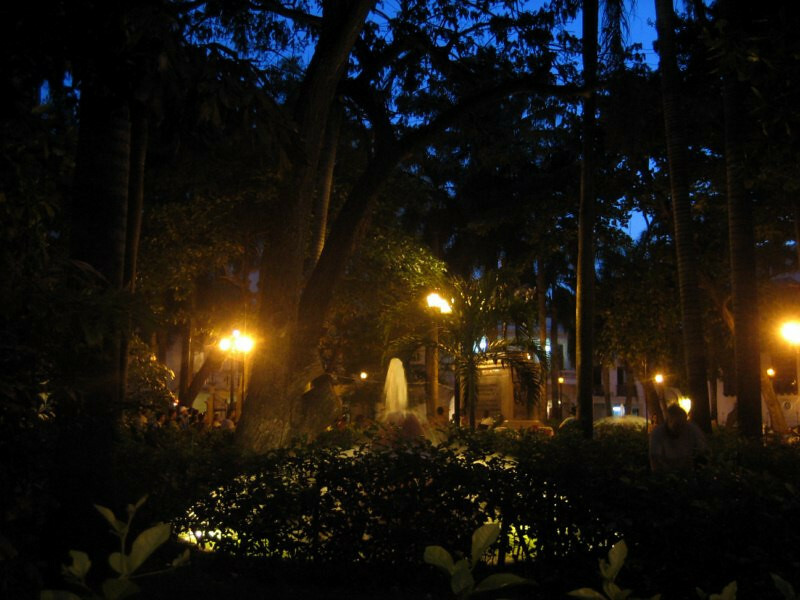 Lush gardens of Plaza Bolívar at night. 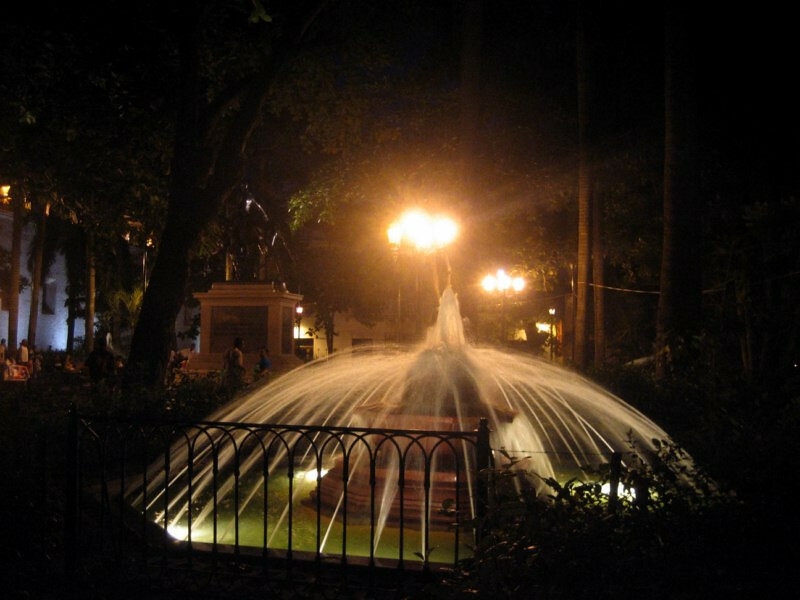 Water fountain in Plaza Bolívar. 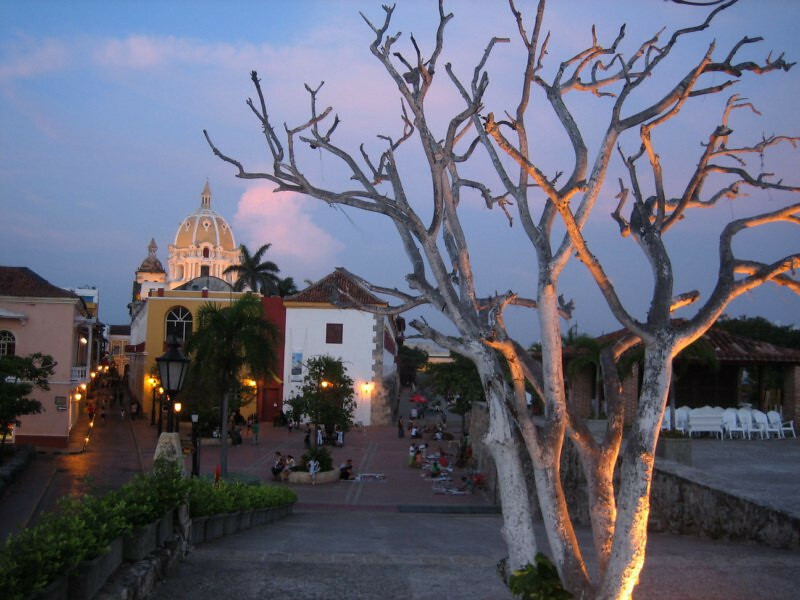 The hotness of the day is quenched by the coolness of the evenings in Cartagena. 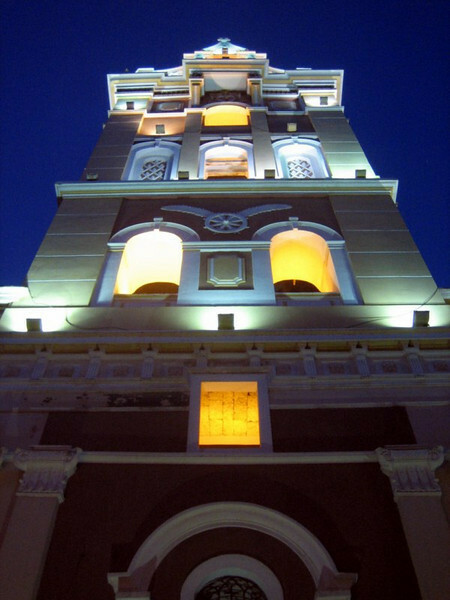 A cathedral in old town. 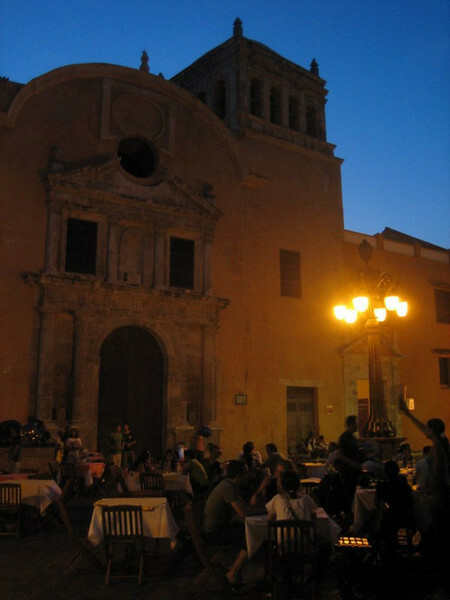 Outdoor evening dining under the restored Iglesia de Santo Domingo. 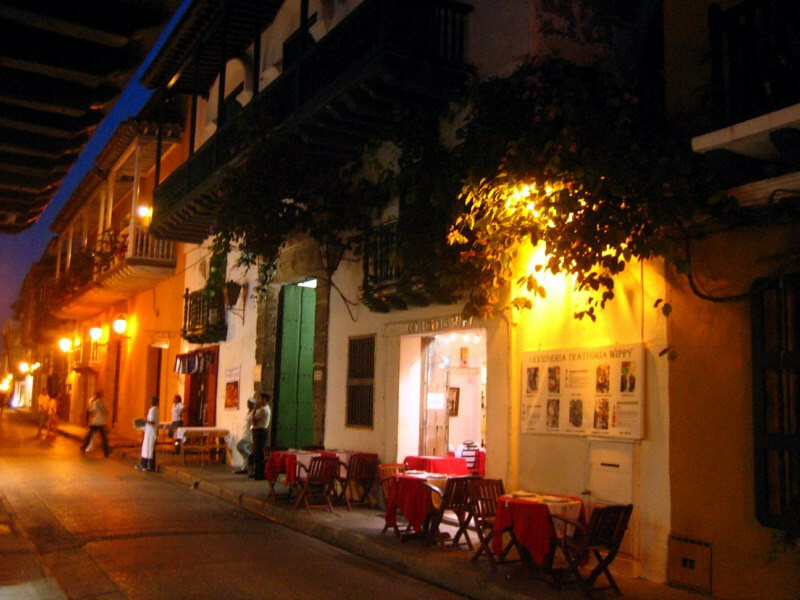 Cafes with street side dining in old town Cartagena. 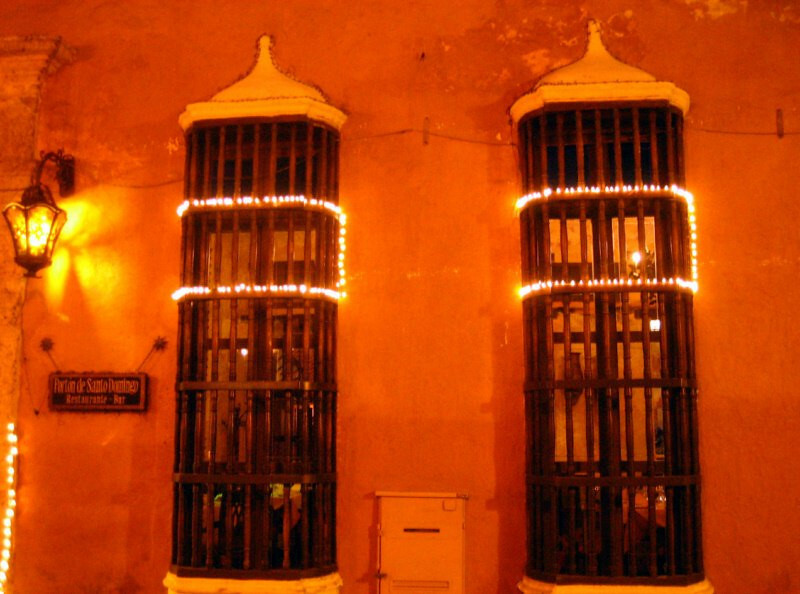 Wood framed windows of Porton de Santo Domingo, a restaurant. 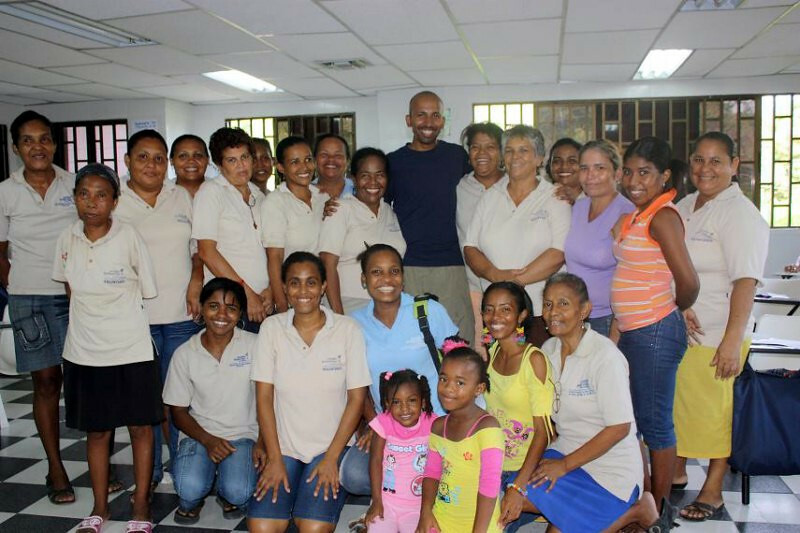 I took a tour of Children International’s operations in Cartagena. They are a charity managing child sponsorships and for $22 a month, your sponsored child in an impoverished area will be guaranteed a better life through access to education, medical care and general well-being. I sponsor a girl, Lillian in Zambia and hope to visit her next year when I pass through. 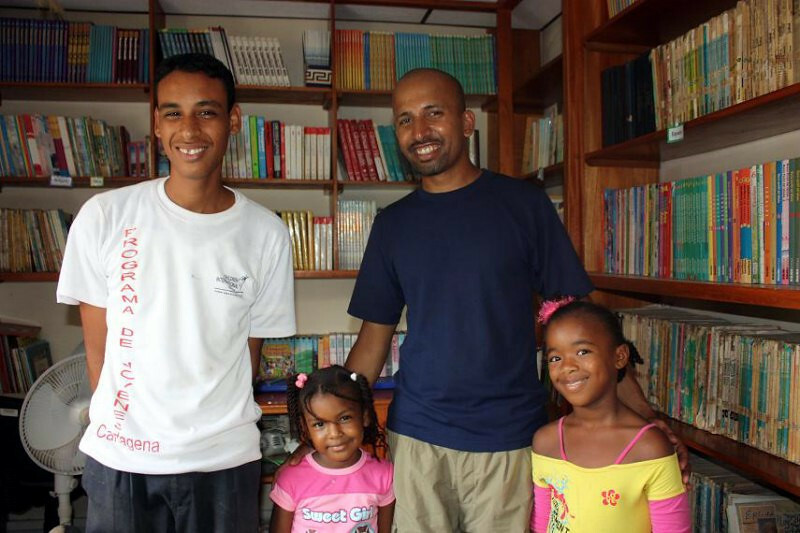 In the library at one of the centers with a local volunteer and two sponsored children. About 80% of your money gets to your child and the charity has been highly successful. They have centers all through Central and South America, India and Zambia. One thing I like about this charity is the high number of graduated sponsored children who come back to work in their communities to help lift more children out of poverty. Poverty is an issue that can be solved in today’s society that just needs more minds working on it. 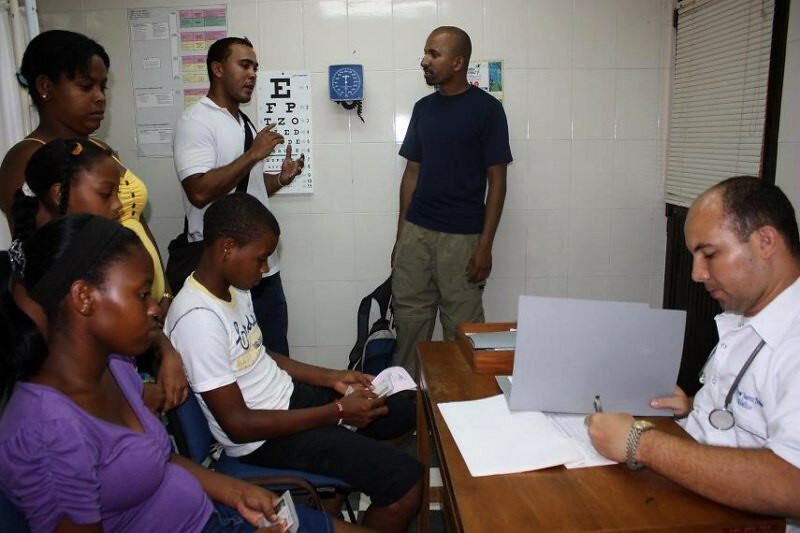 Getting a tour of the medical center by Mauricio, where along with regular doctor visits, families are taught about good nutrition, as malnutrition is one of the major health concerns in poor communities. This in turn not only helps the sponsored child, but also their family and surrounding community. 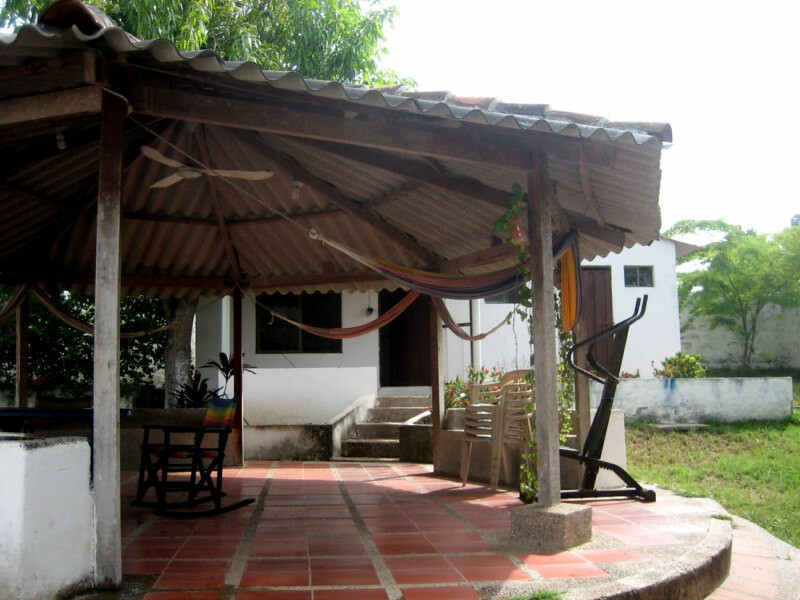 At Fernando’s house where Sargento and I stayed in the guest house in the back. 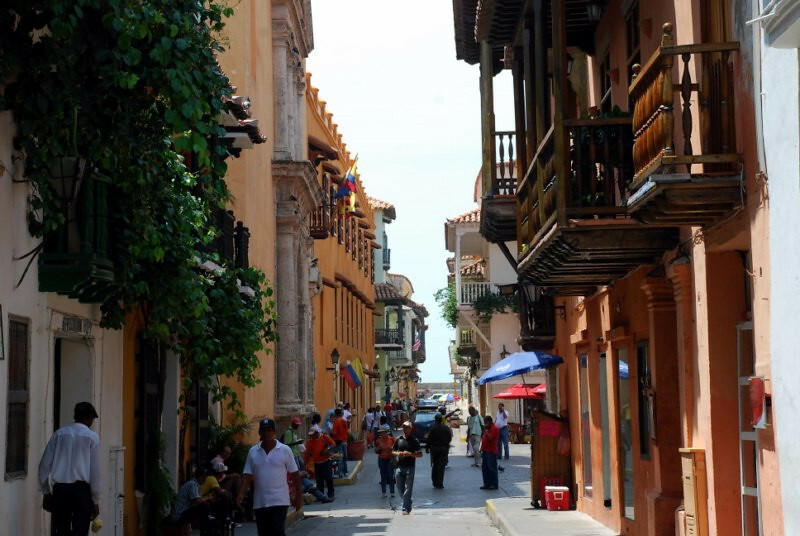 I spent five days in Cartagena and could have easily stayed for longer.